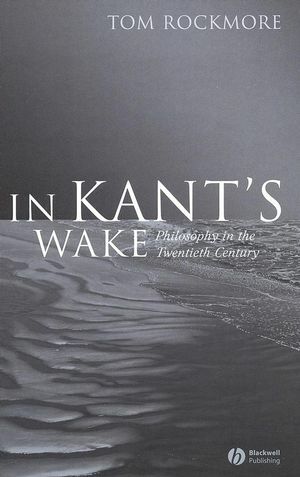 In Kant’s Wake evaluates the four main trends in philosophy in the twentieth century — Marxism, Anglo-American analytic, American pragmatism, and continental philosophy — and argues that all four evolved in reaction to Kant’s fascinating and demanding philosophy. Provides an intriguing assessment of the accomplishments of twentieth-century philosophy. Tom Rockmore is Professor of Philosophy at Duquesne University. His previous publications include Cognition: An Introduction to Hegel’s Phenomenology of Spirit (1997), Marx after Marxism (Blackwell, 2002), Before and After Hegel: A Historical Introduction to Hegel’s Thought (2003), The Philosophical Challenges of September 11 (edited with Joseph Margolis and Armen T. Marsoobian, Blackwell, 2004), On Constructivist Epistemology (2005), and Hegel, Idealism and Analytic Philosophy (2005). 1. Toward Interpreting Twentieth Century Philosophy. 2. Kant and the Post-Kantian Debate. 3. On Marxism in the twentieth century. 5. Continental philosophy as phenomenology. 7. Kant and Twentieth Century Philosophy.